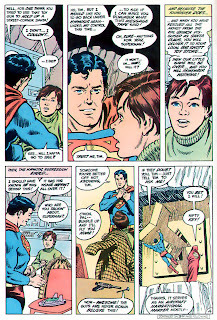 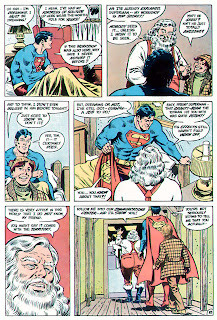 Supes just the way we like him, in the kind of story they don't write anymore. 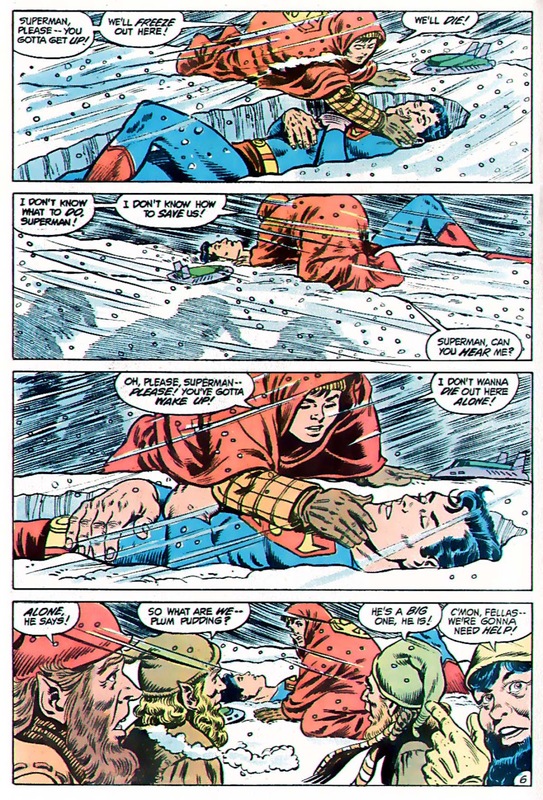 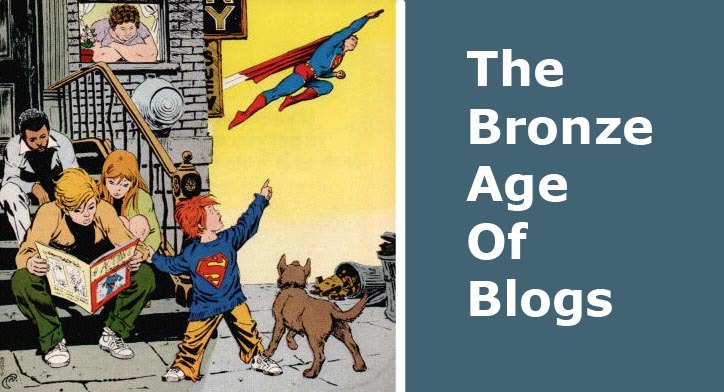 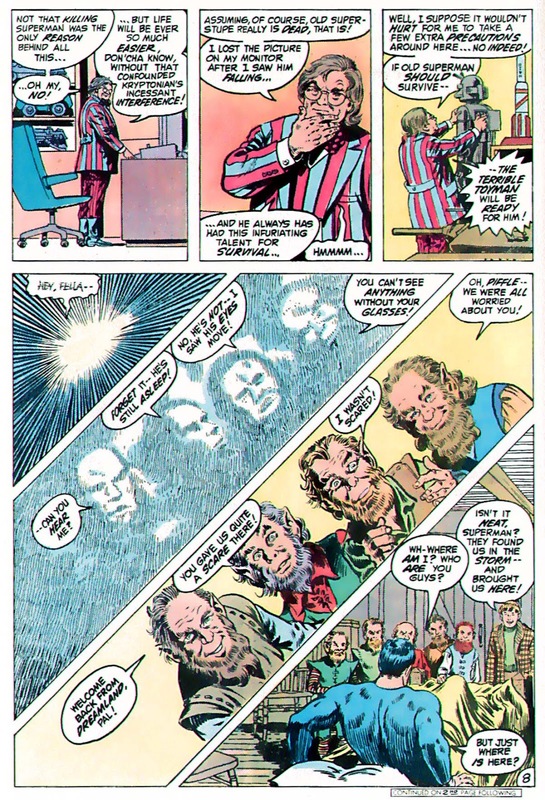 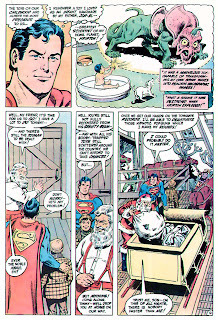 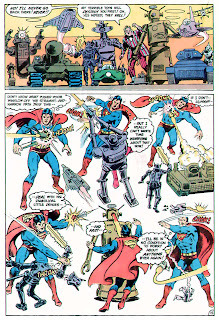 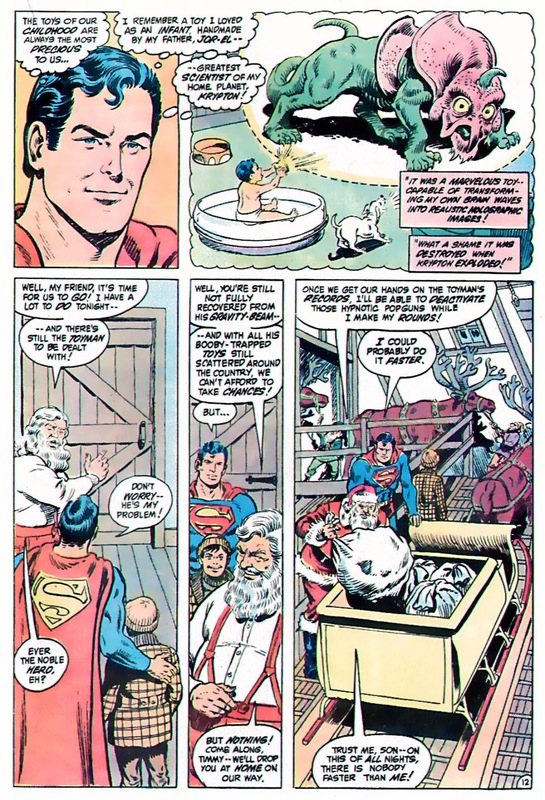 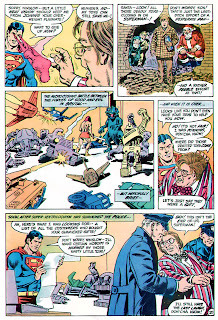 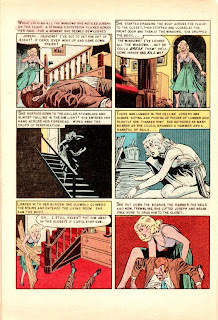 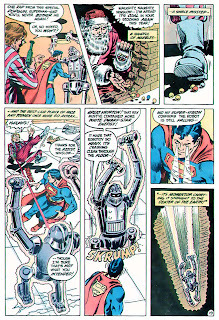 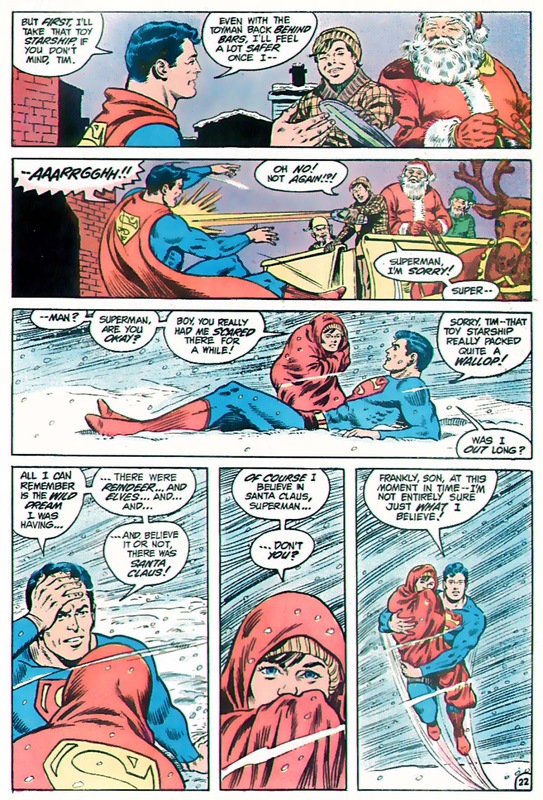 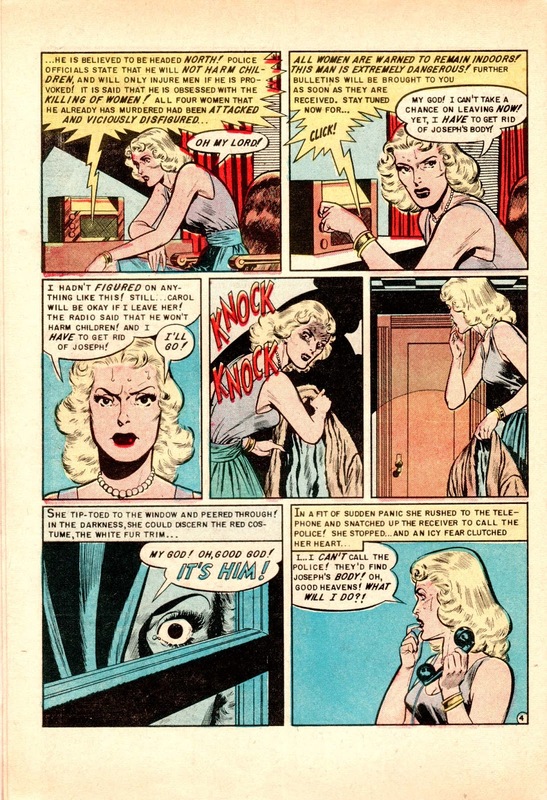 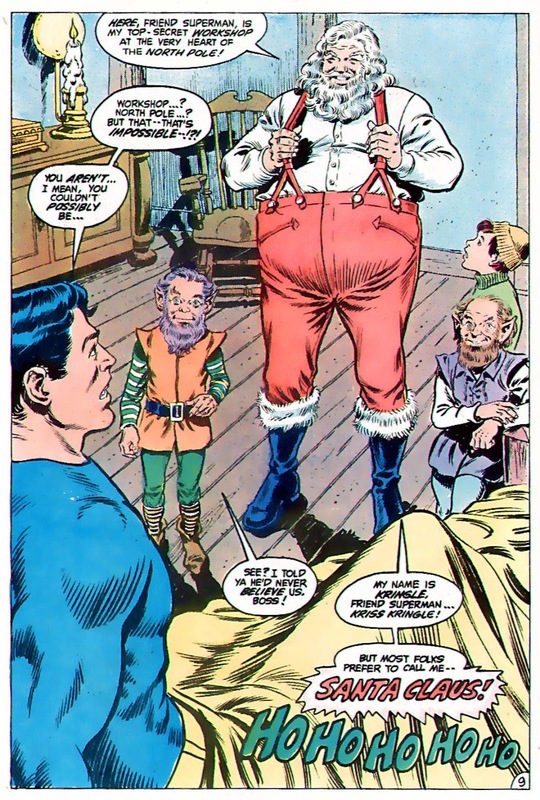 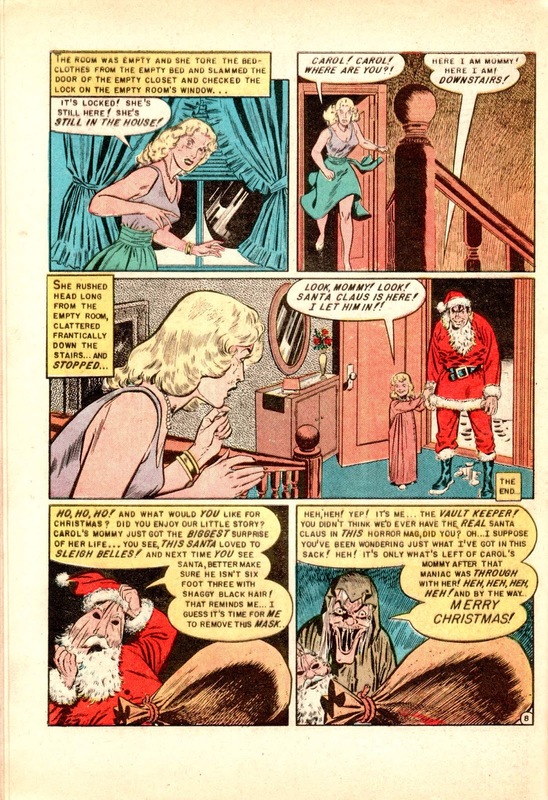 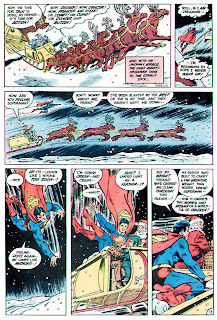 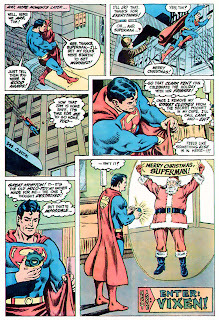 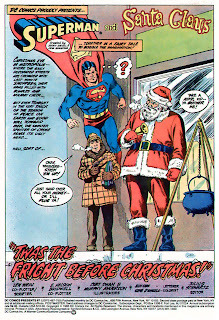 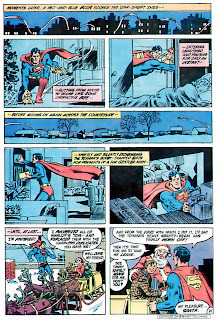 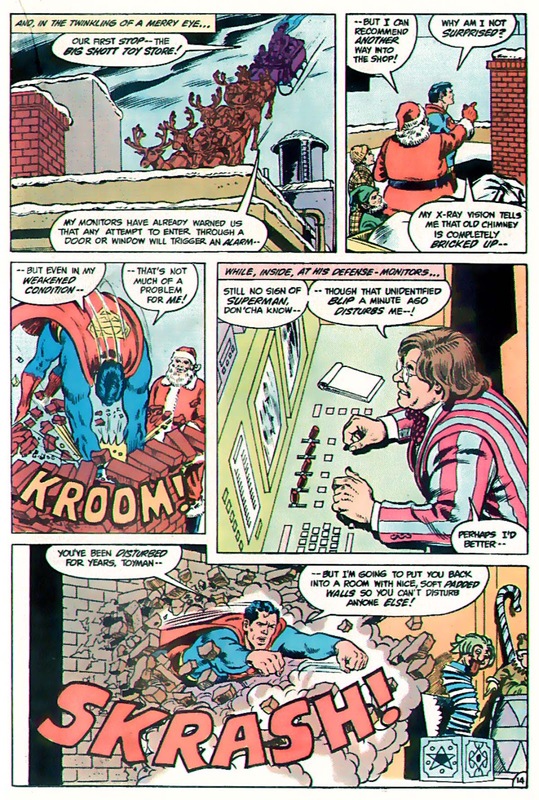 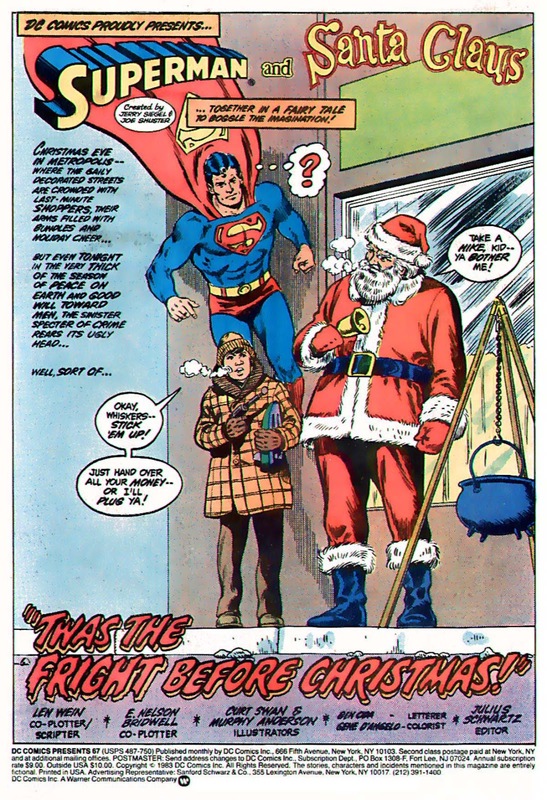 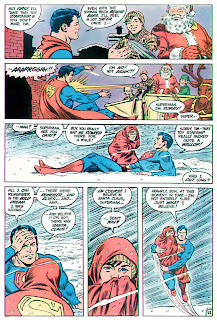 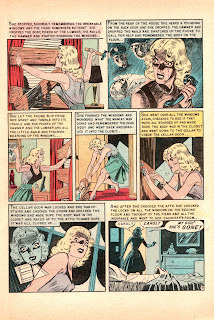 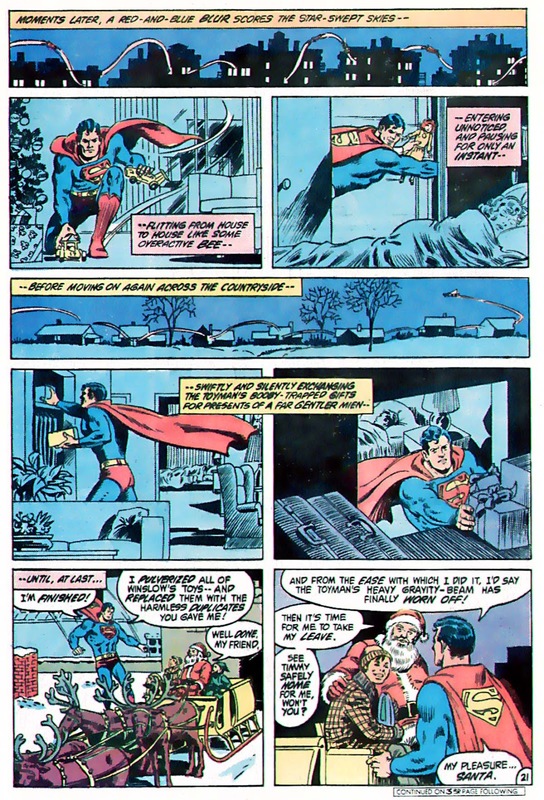 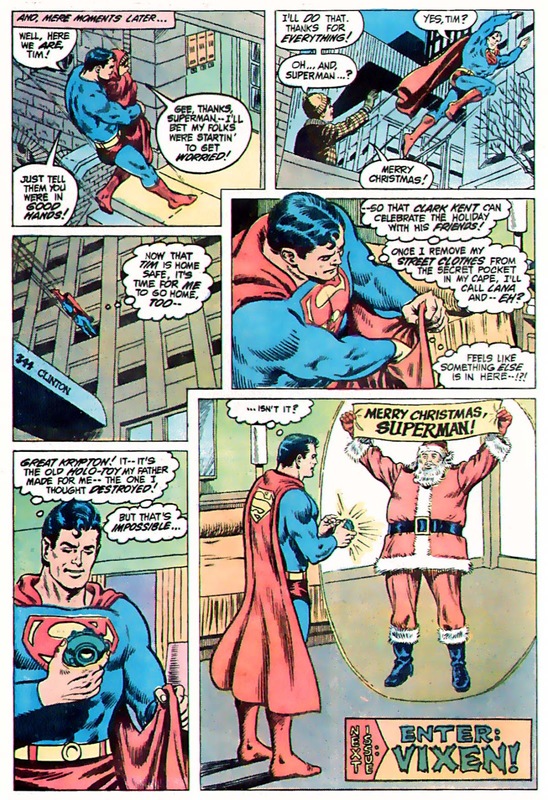 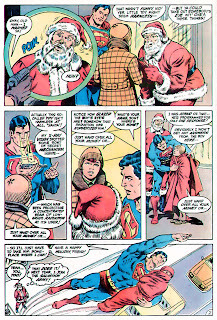 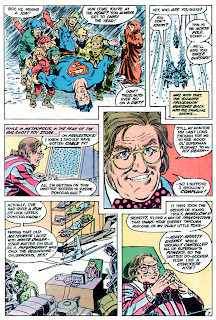 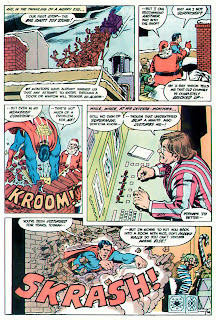 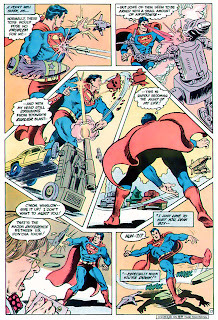 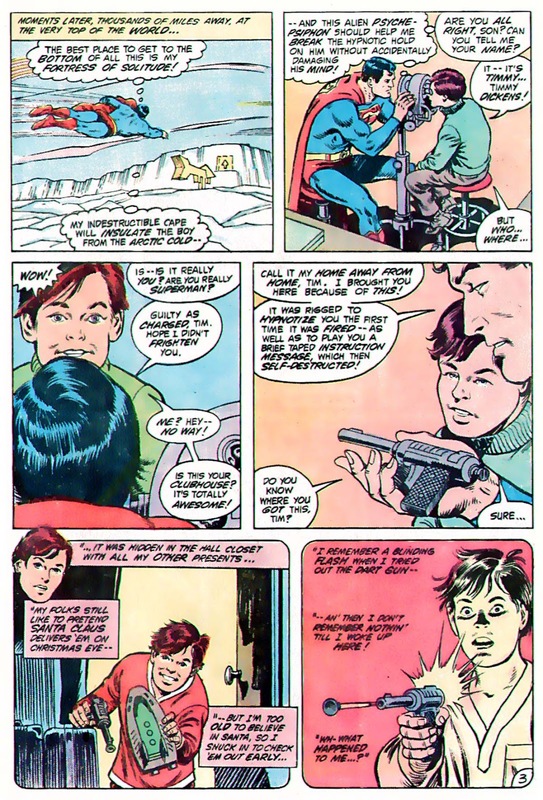 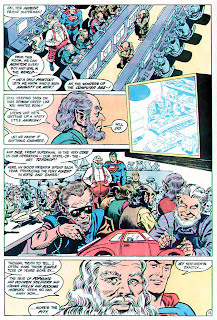 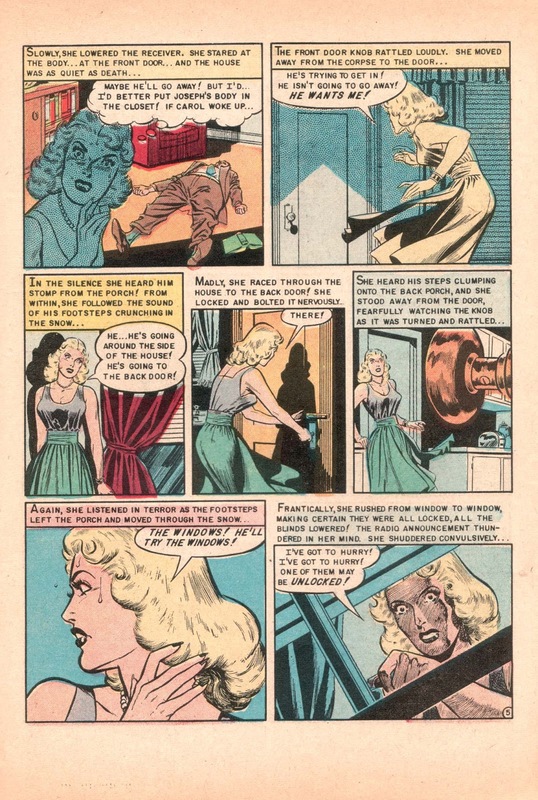 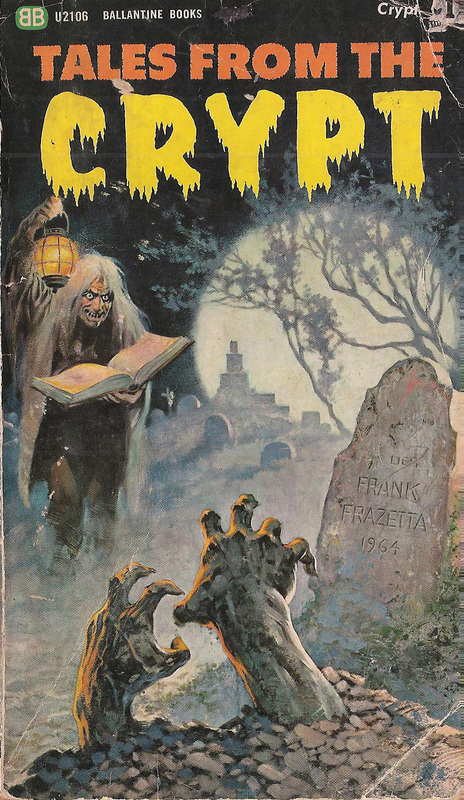 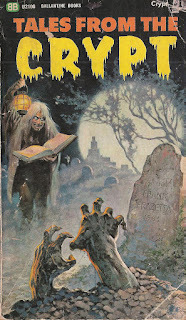 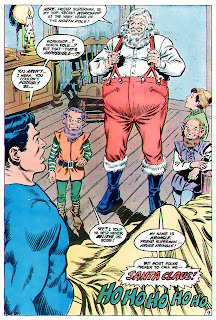 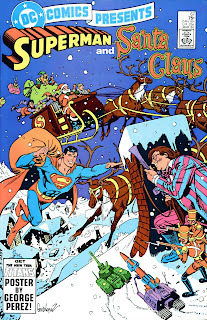 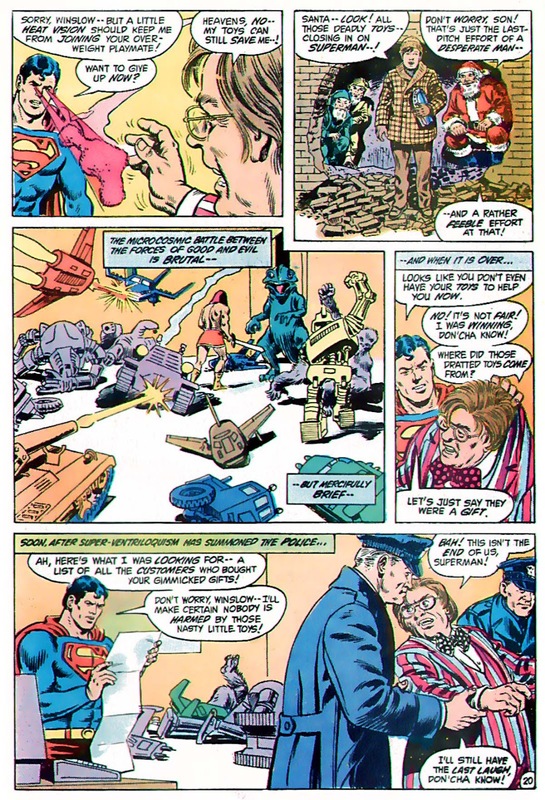 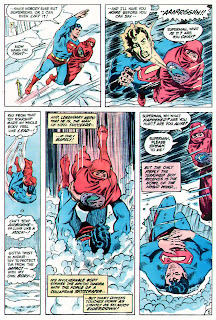 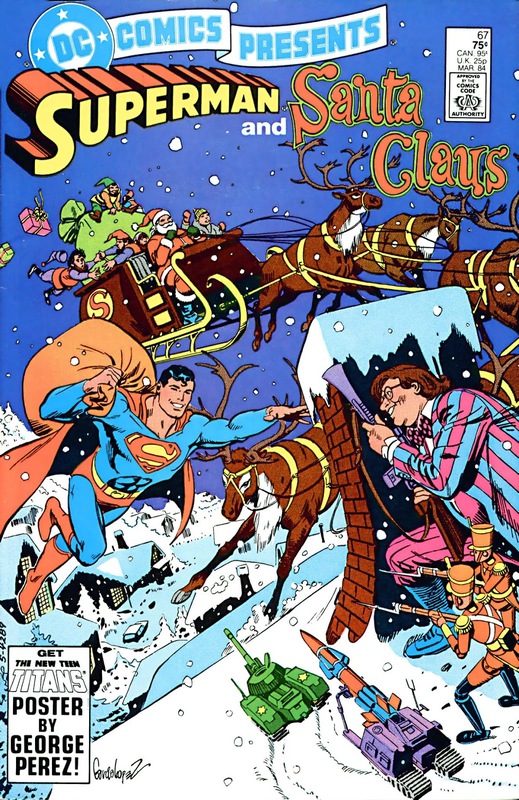 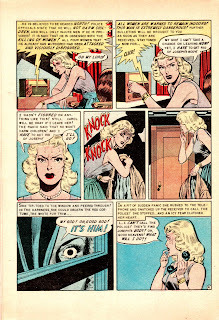 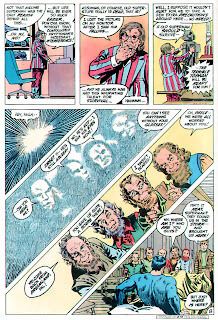 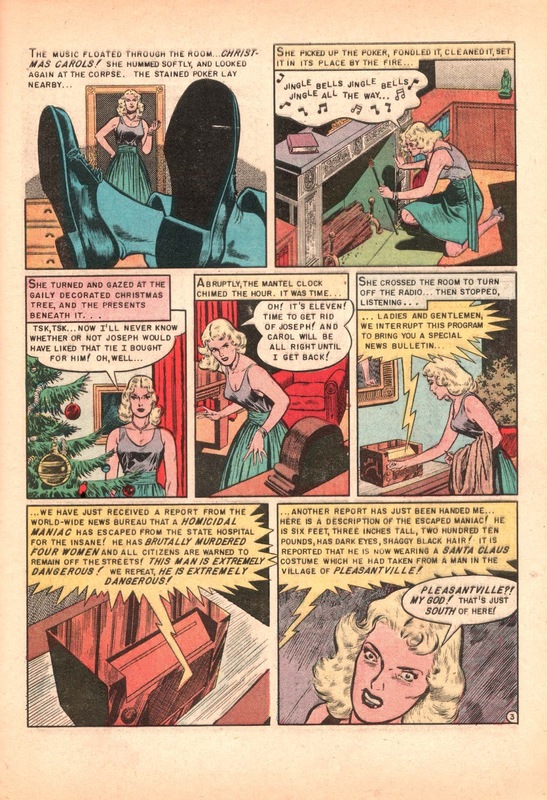 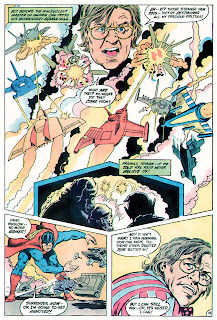 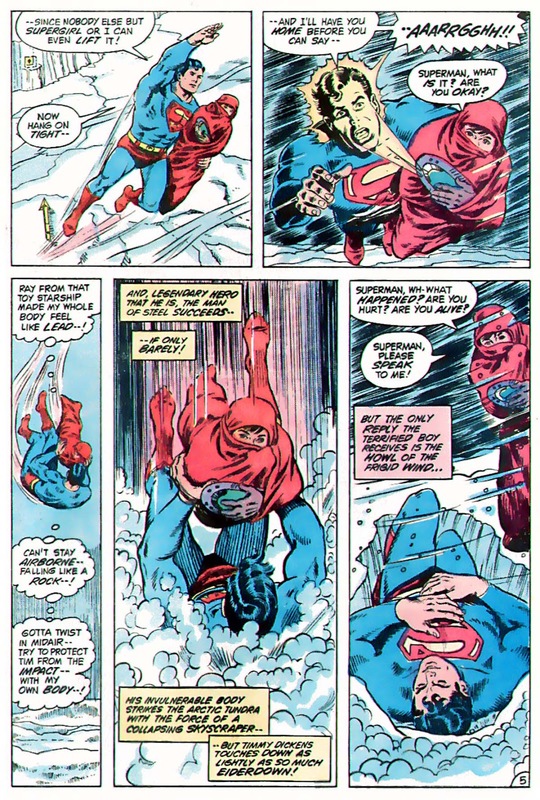 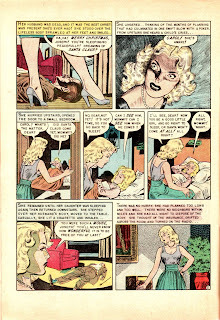 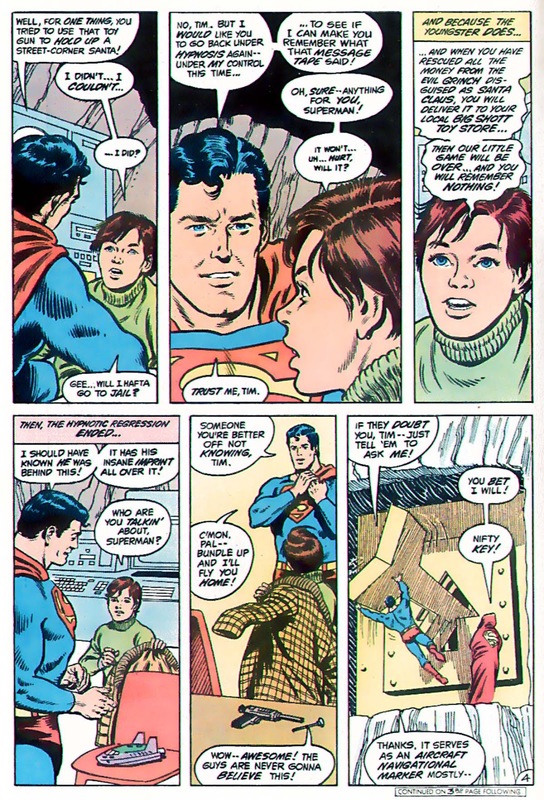 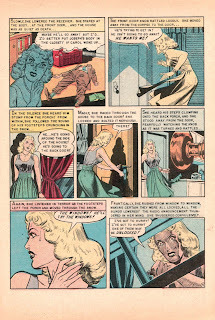 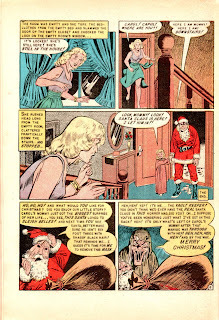 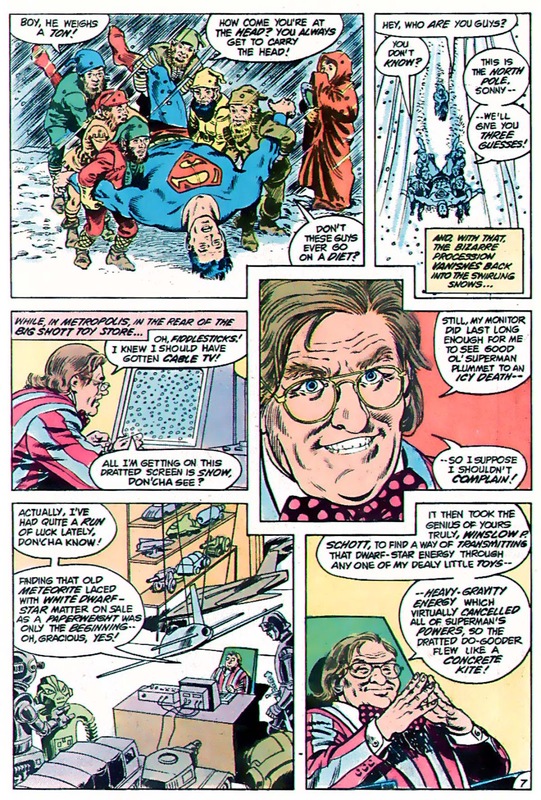 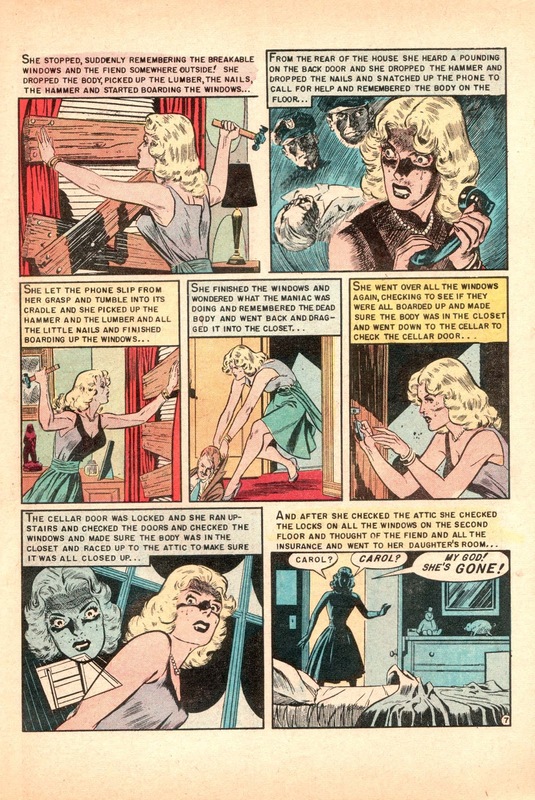 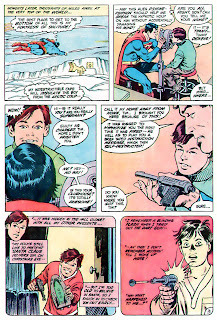 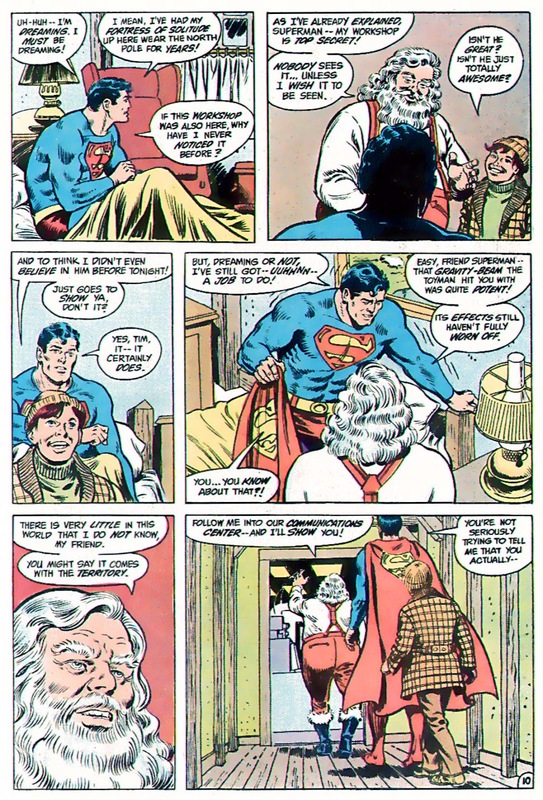 Len Wein, E. Nelson Bridwell, Curt Swan, Murphy Anderson and an ending guaranteed to make you smile. 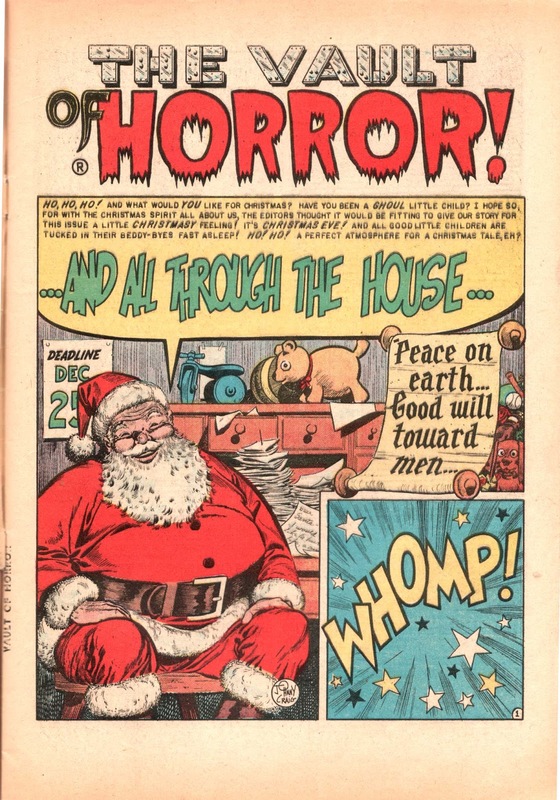 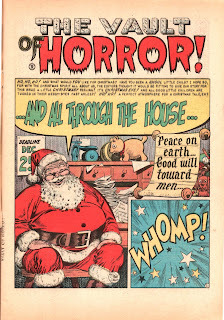 Happy happy merry merry, and see you in the new year, gang. 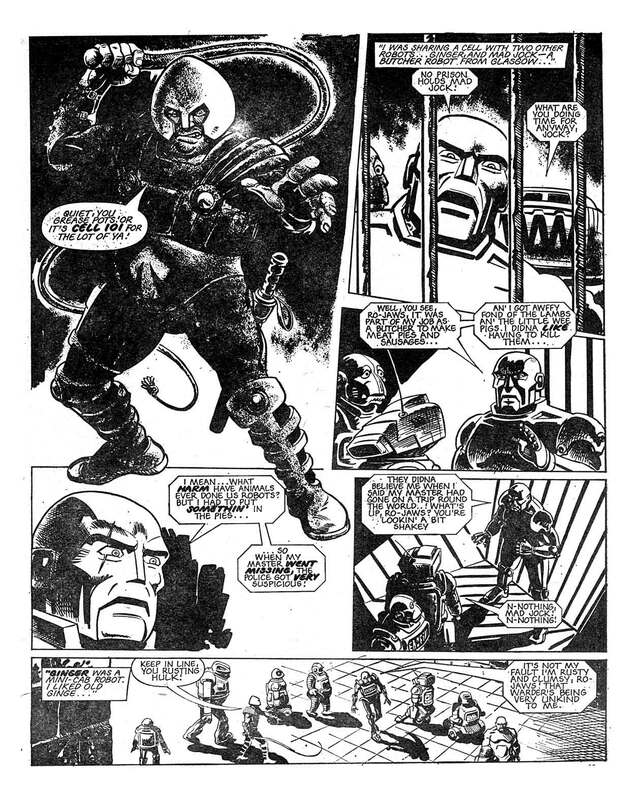 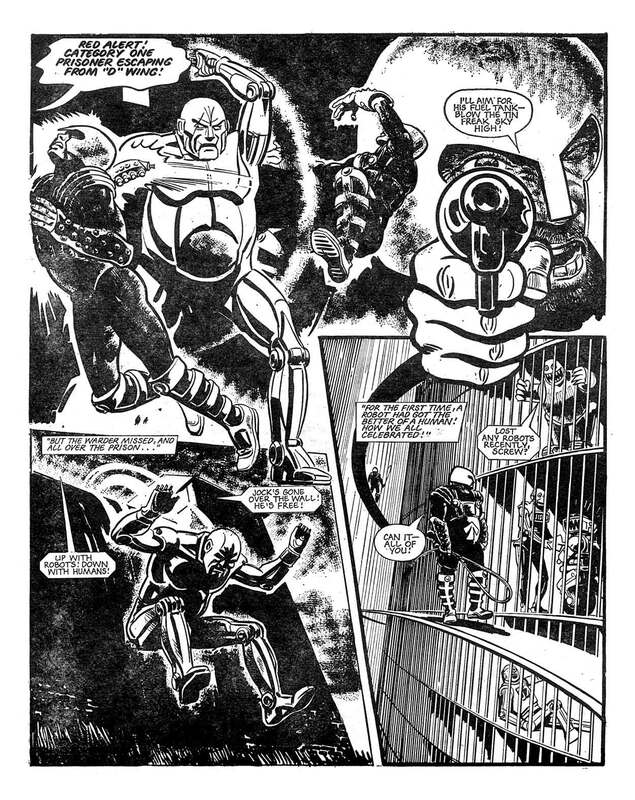 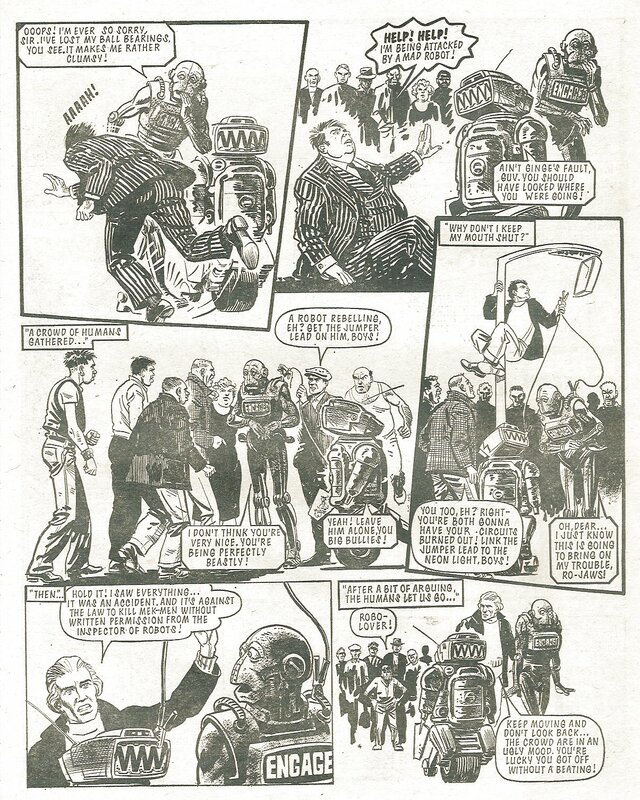 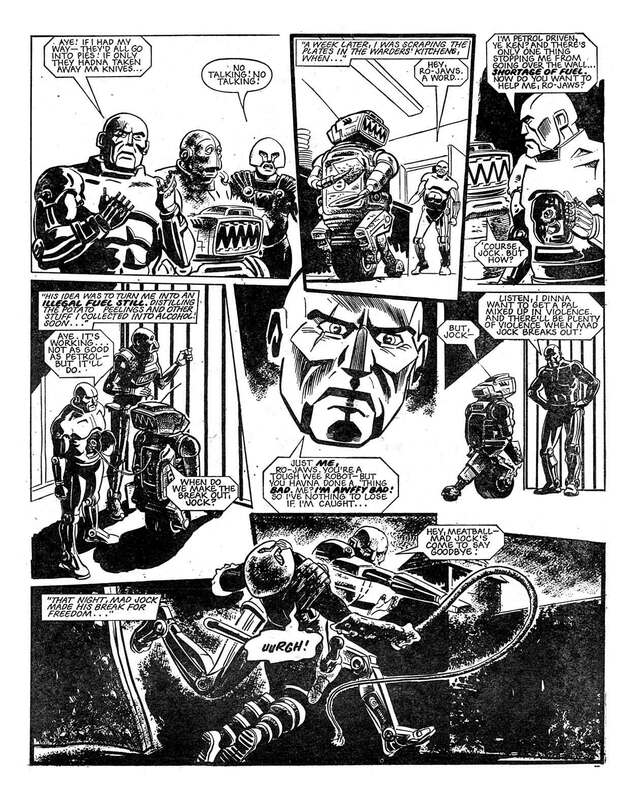 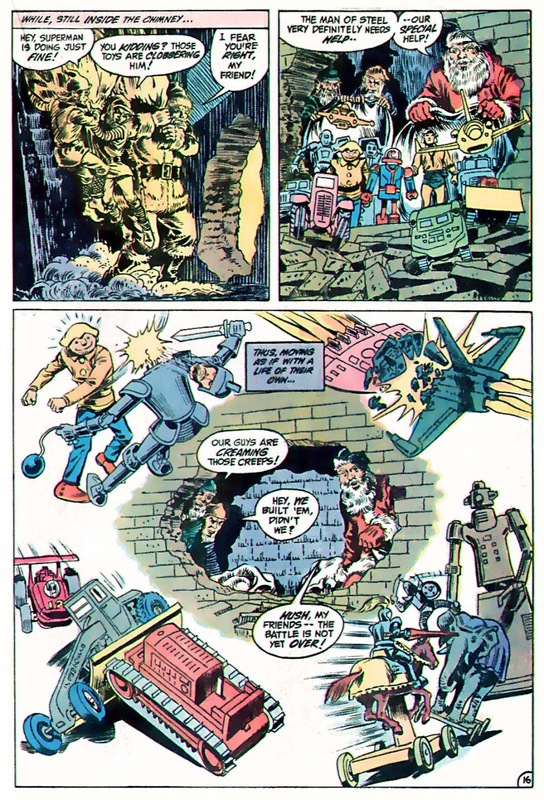 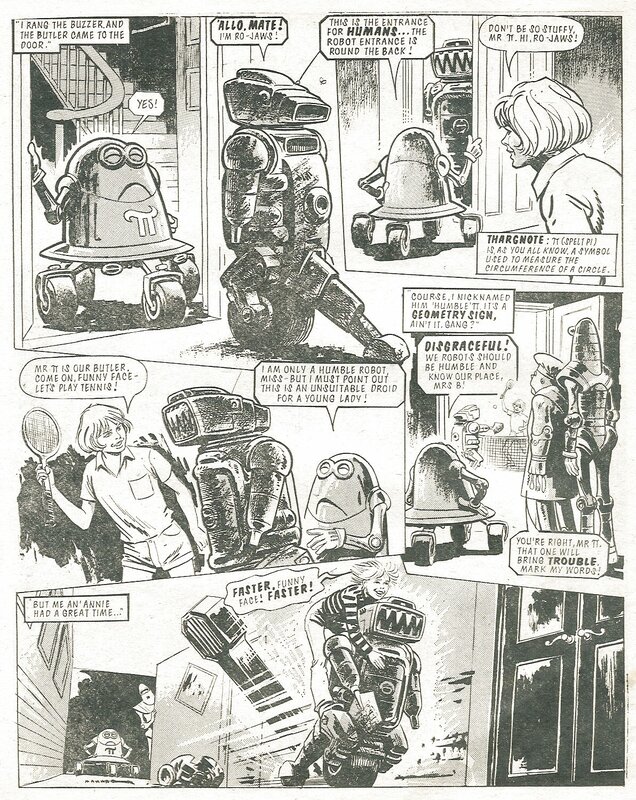 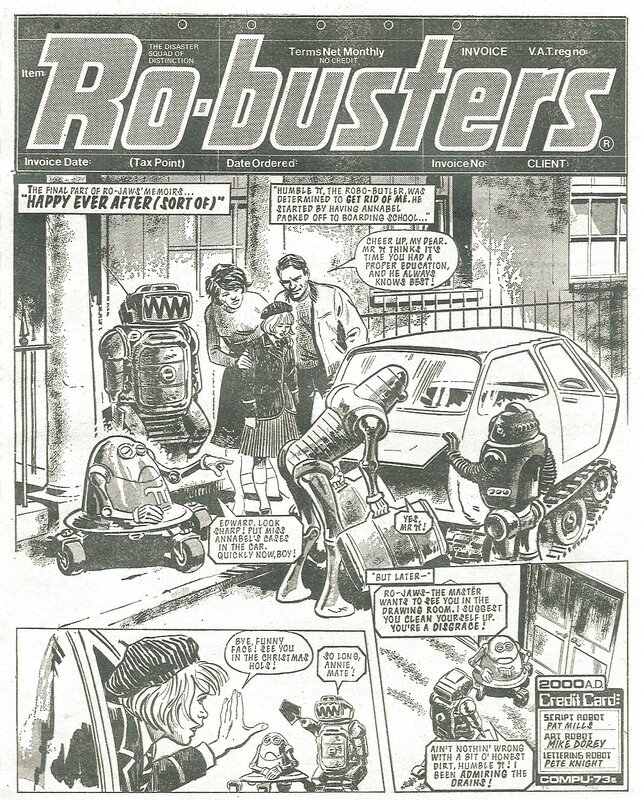 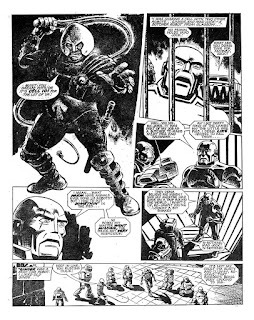 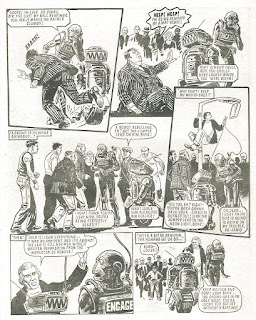 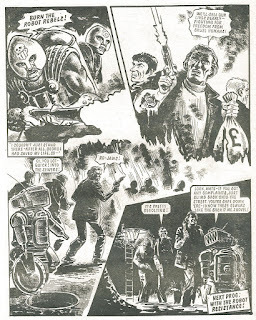 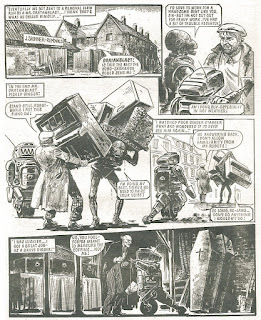 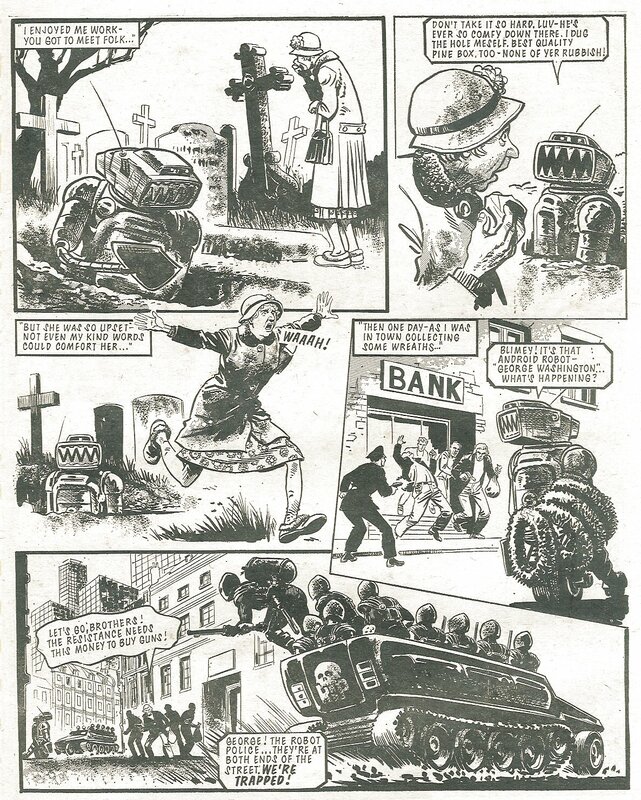 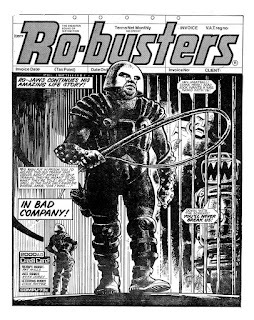 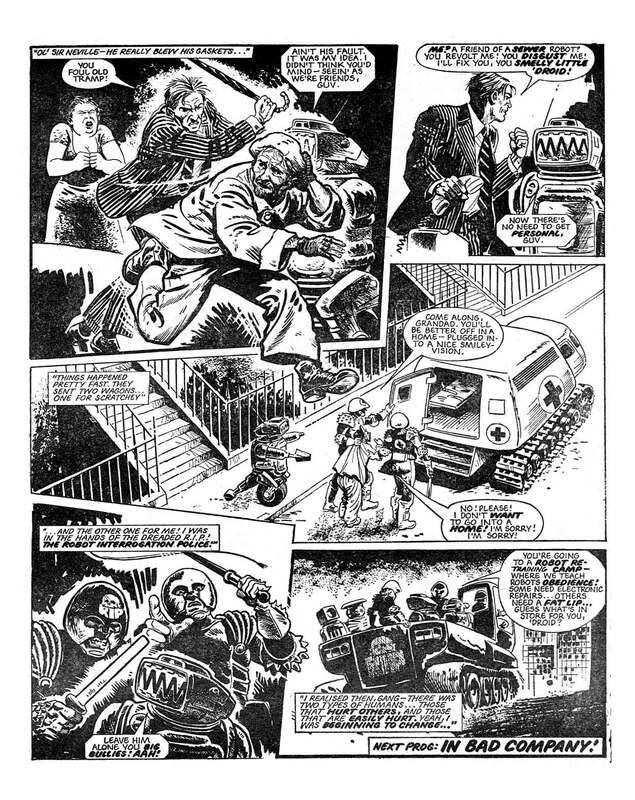 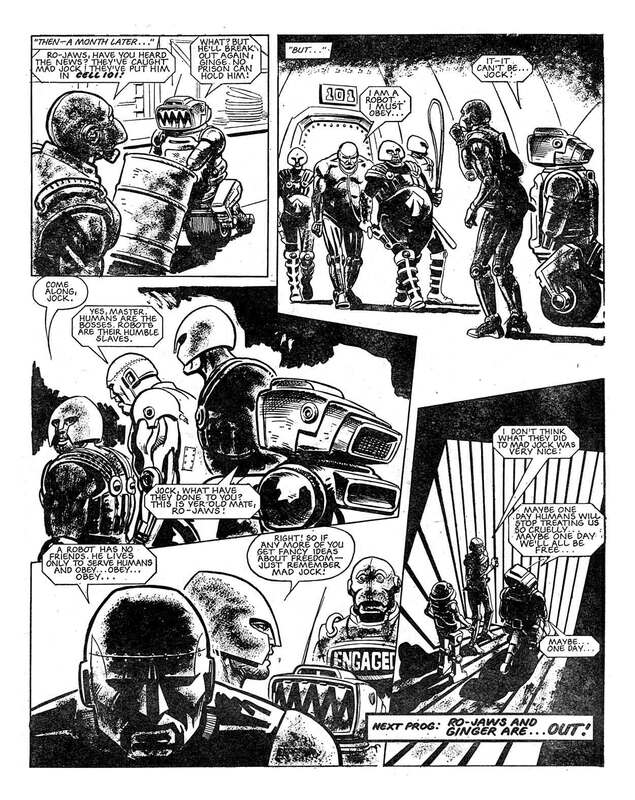 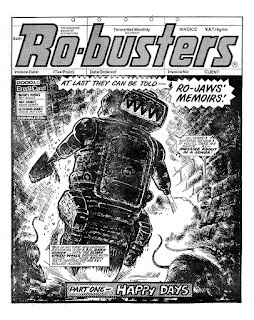 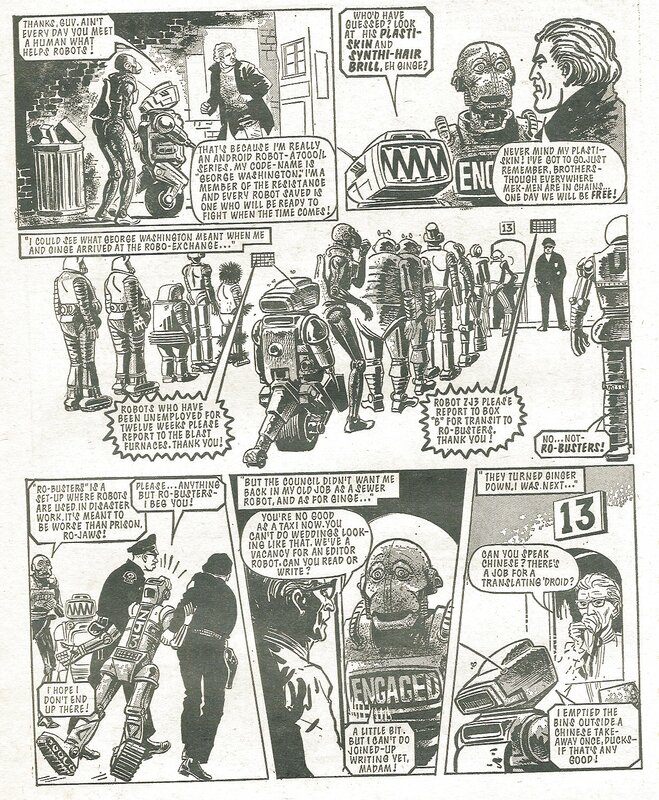 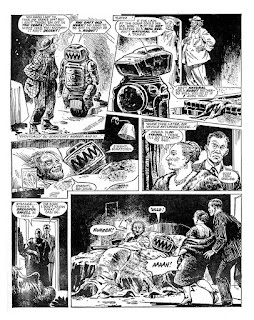 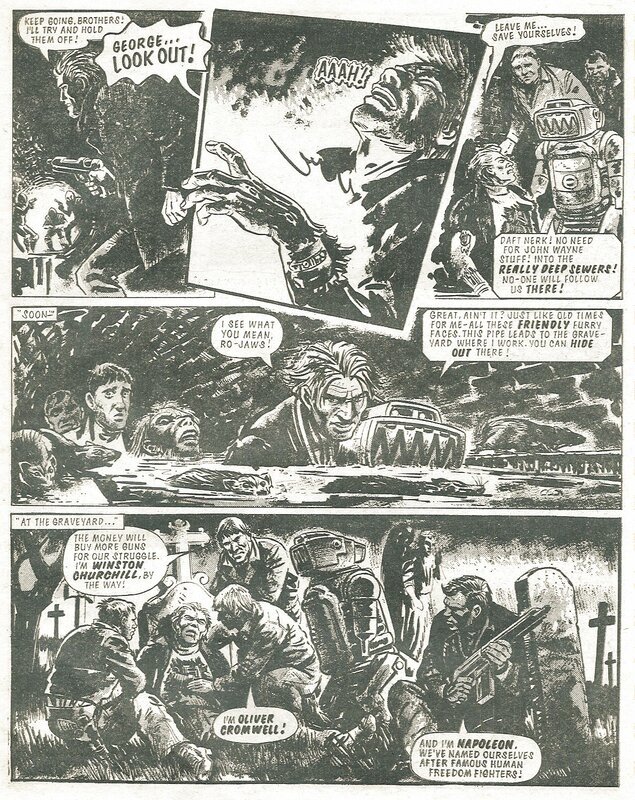 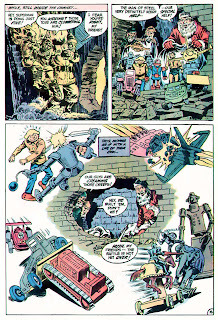 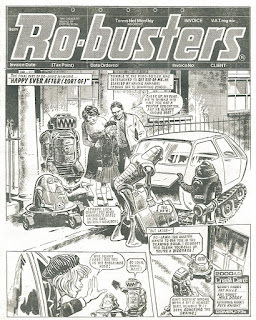 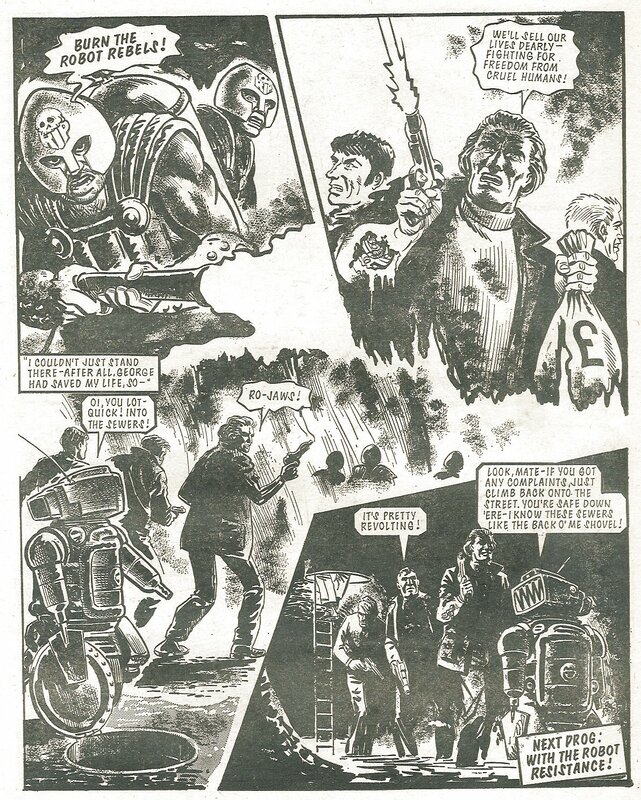 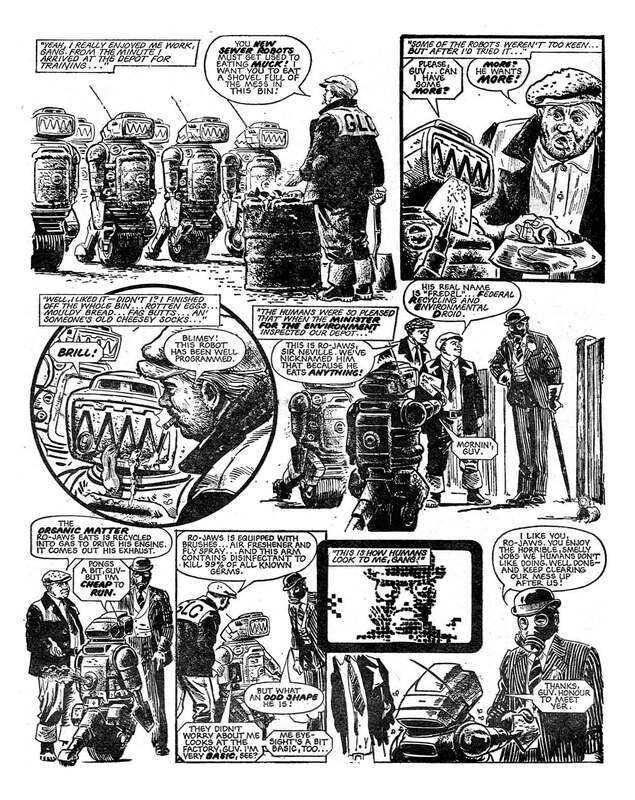 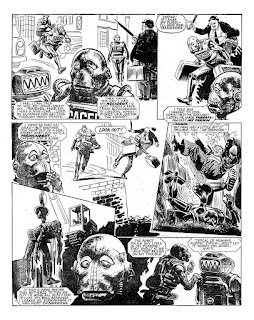 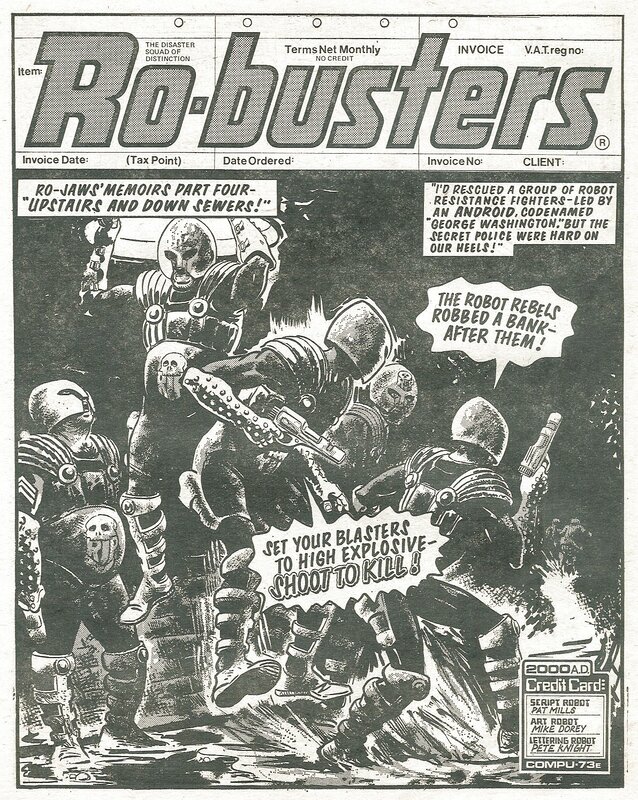 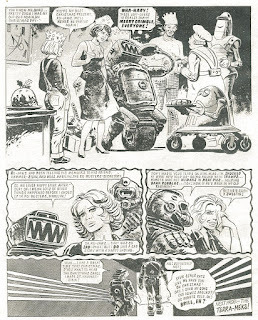 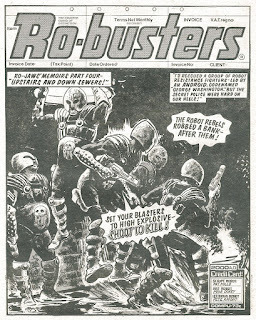 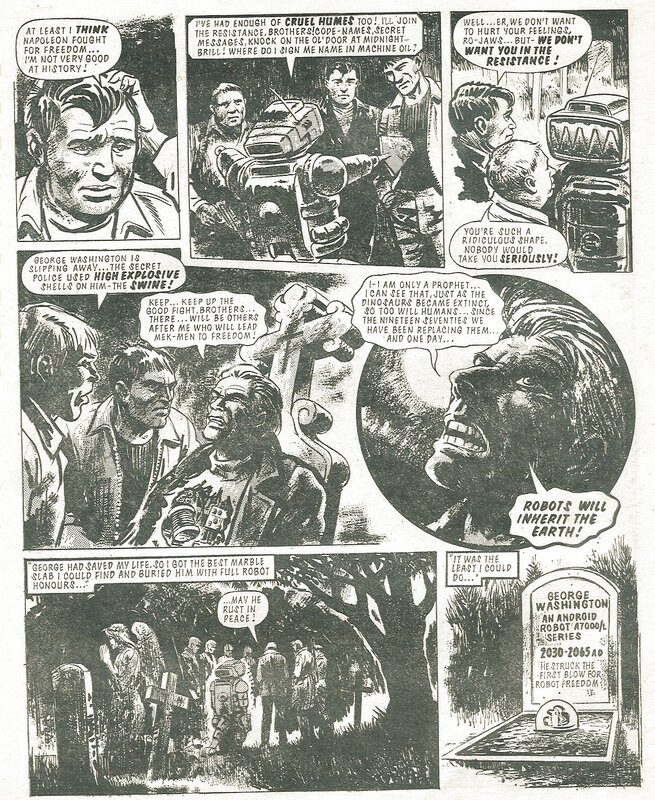 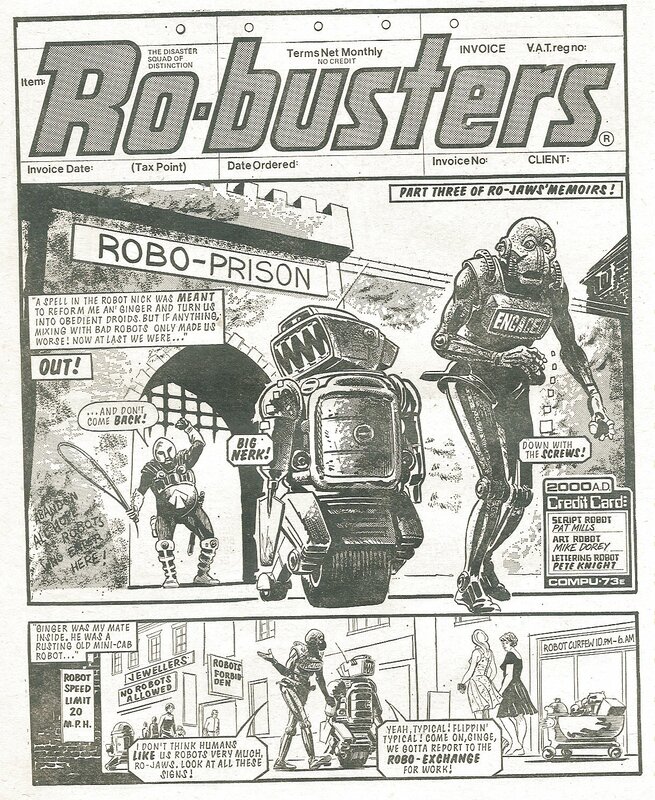 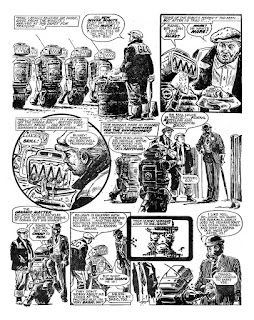 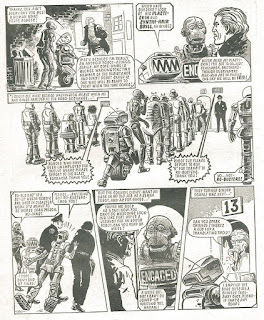 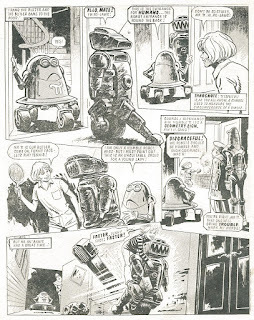 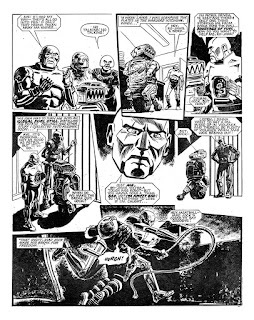 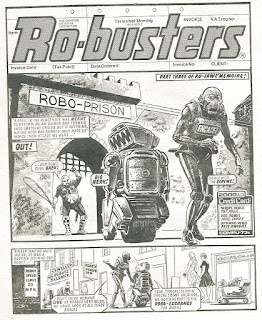 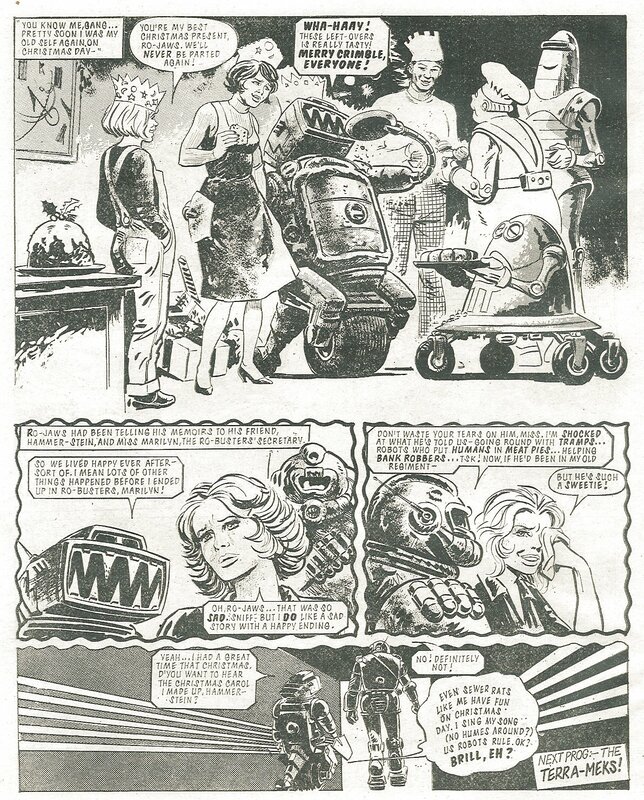 Two of my all-time favourite 2000AD characters of all time have to be Ro-Jaws & Hammer-Stein ( Geddit? 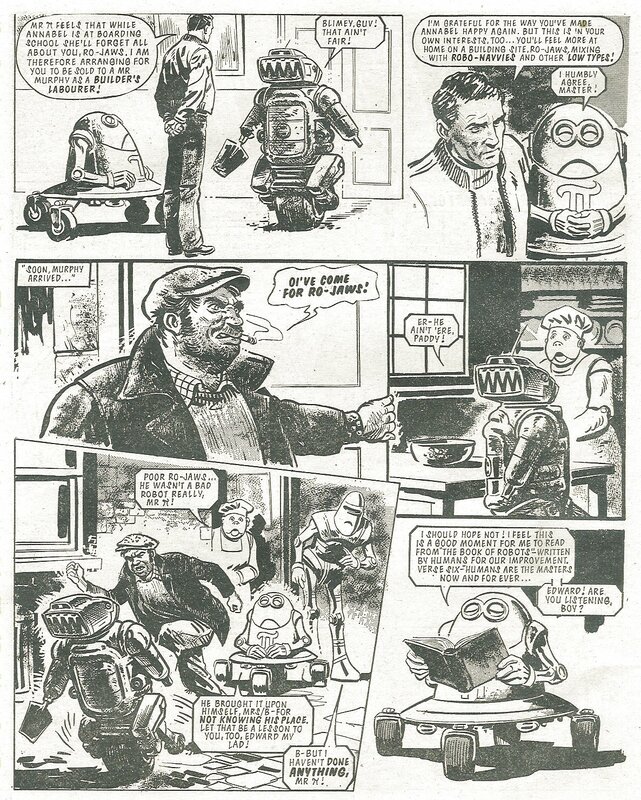 D'ya geddit? ) off of Ro-Busters and ABC Warriors. 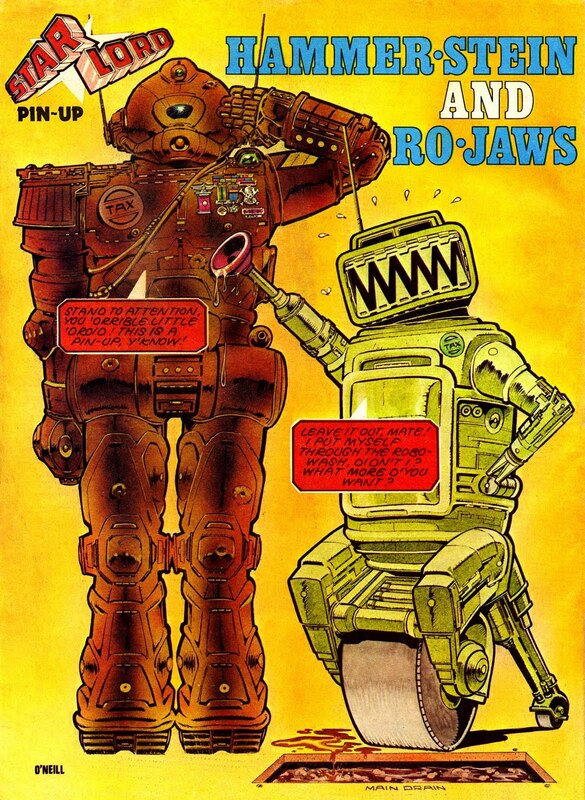 Hammer-Stein is the perfect straight man, but the real star is Ro-Jaws, the garbage eating, garbage talking droid who has to look up to even see the lowest rung of the social ladder, but still sees no reason why he should show anybody the slightest bit of respect. 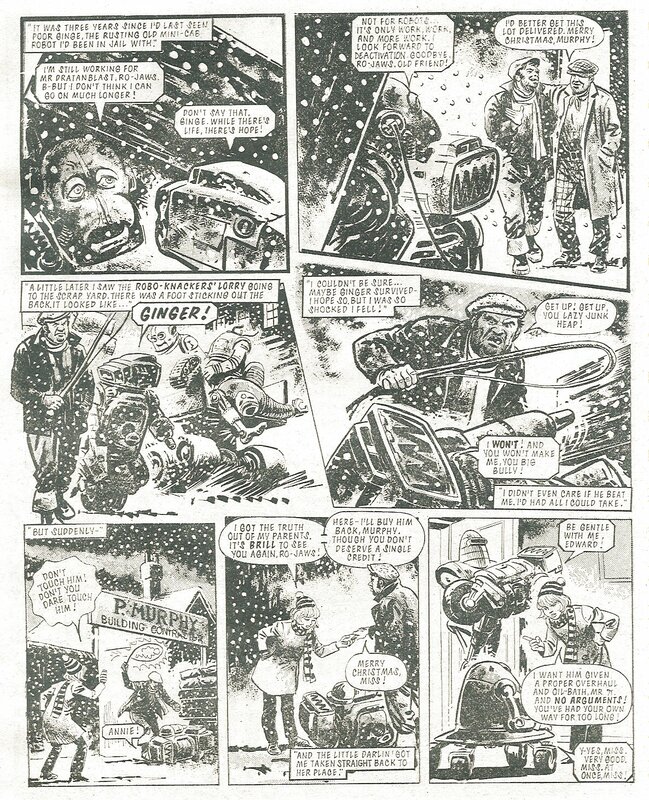 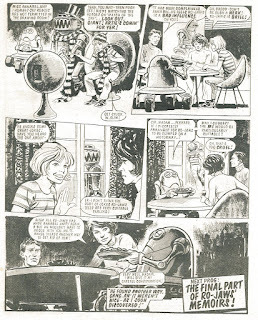 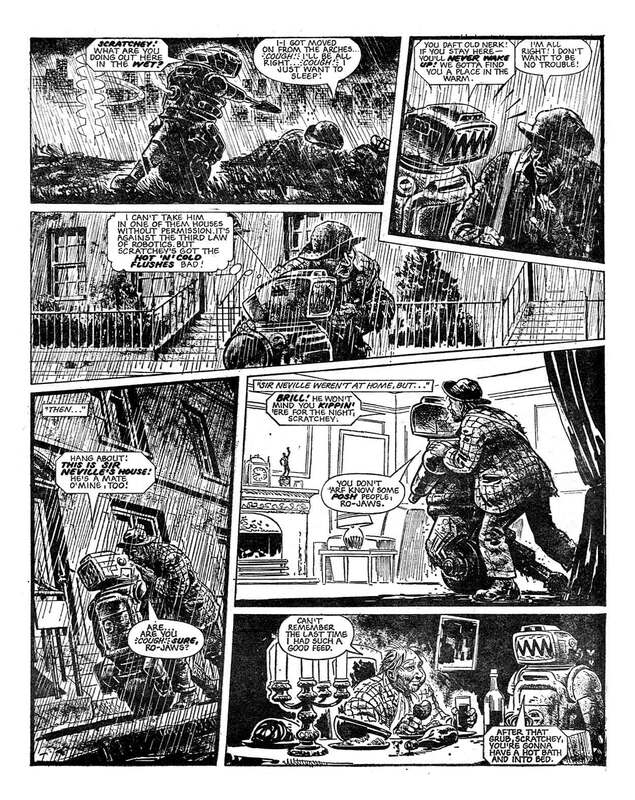 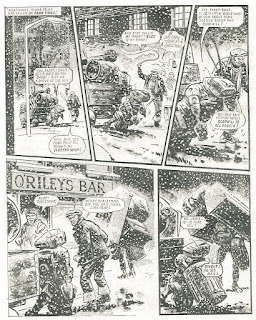 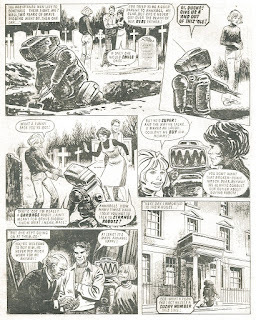 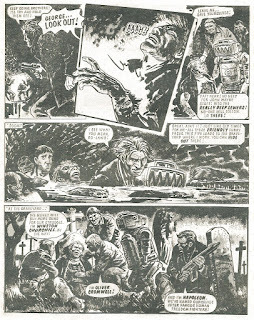 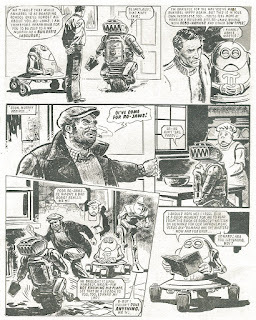 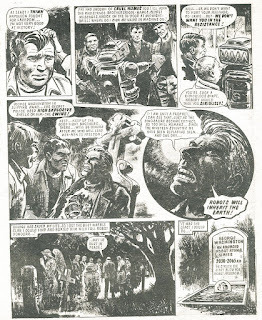 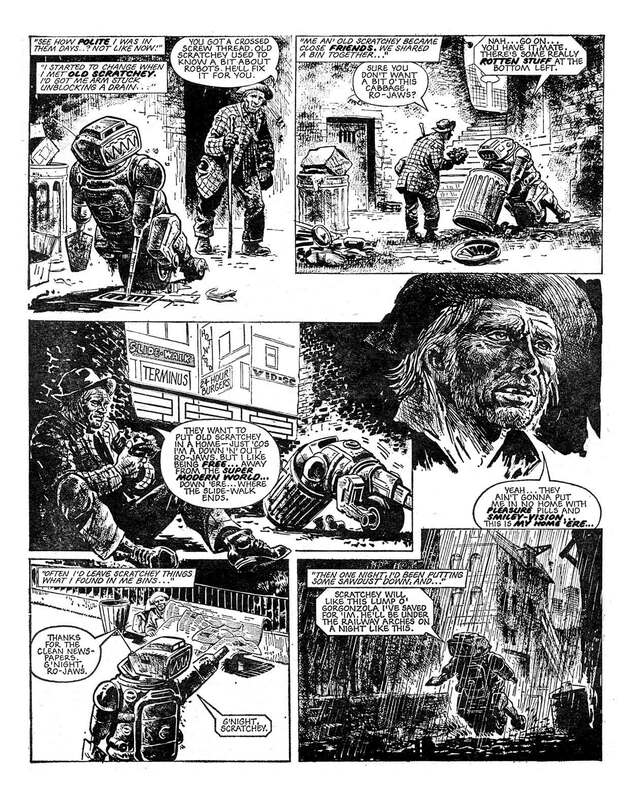 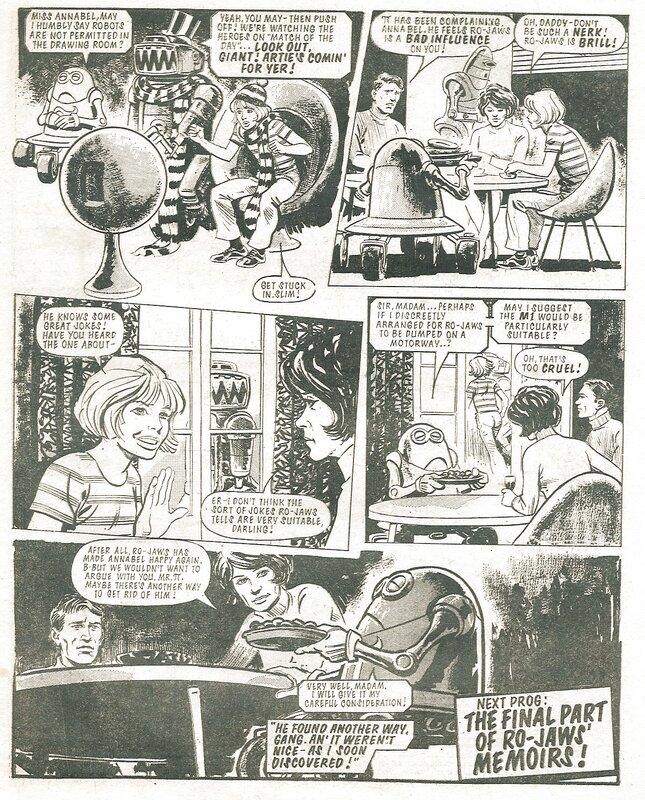 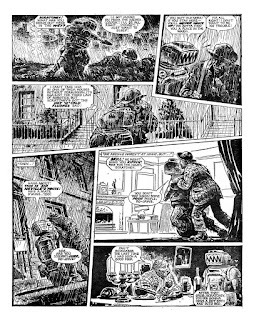 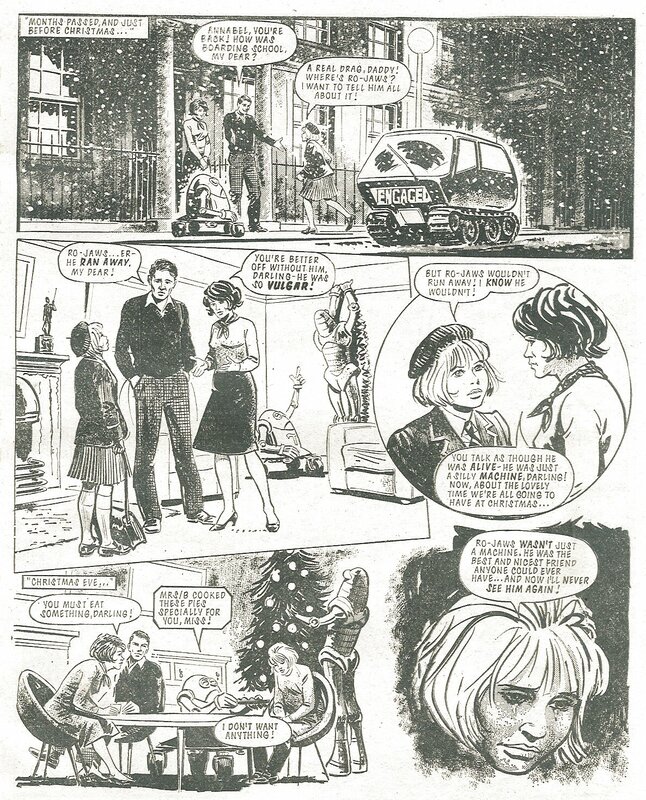 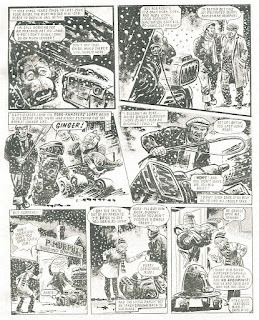 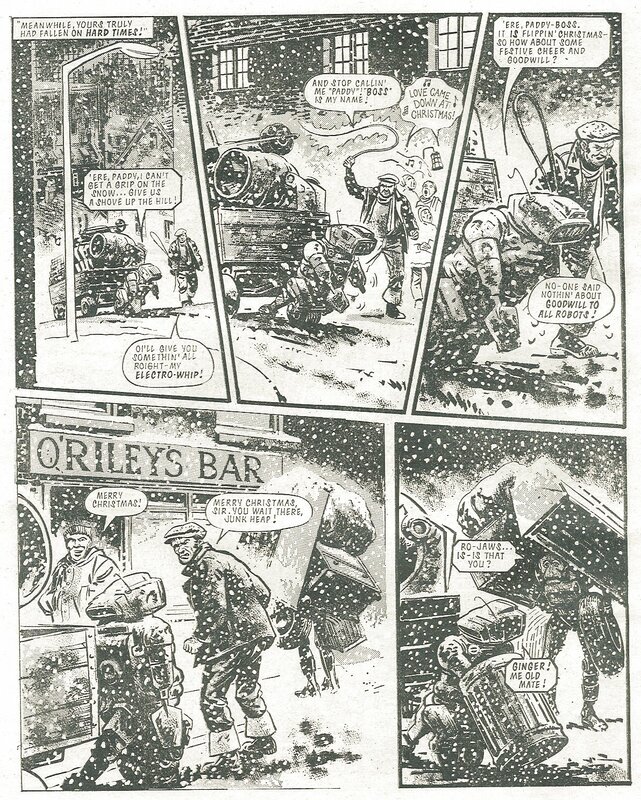 Pat is joined here on art duties by the great Mike Dorey ( no relation ) and in keeping with the season, Mike dips his ink pen in soot from his victorian chimney, and the whole thing gives you a nice warm Christmassy glow. Until, presumably, Ro-Jaws eats everything in the house.